“CNNH has transformed our lives. When Leo turned 15 months, we observed that he was suffering from some form of expressive delay. Leo easily became frustrated, and he would throw himself against the wall and couch seeking some type of deep pressure and sensory input. Leo qualified for Early Intervention, but it was not until Leo came under the care of the CNNH team did we feel that every aspect of his care came together regarding his diagnosis and educational plan. Everyone, from the girls that answered the phone, to the office manager, to his BCBA therapists, nurse practitioner and creative arts therapists, provided us with the direction, strength, support and encouragement to help us identify the right educational environment for Leo and to connect us with other specialists in the community. Every member of the CNNH team has been accessible, caring and compassionate. 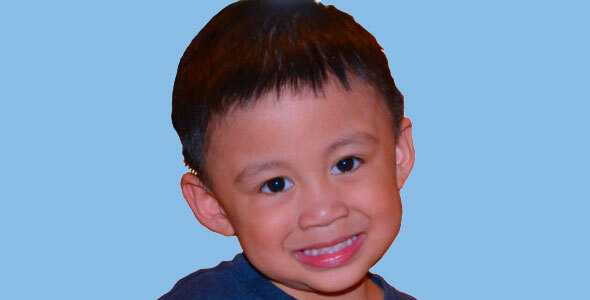 My son was not just another file number, they saw him as a young toddler with big, brown eyes and a bright smile. After just six months of being under CNNH’s care, Leo maintains strong eye contact. He is able to speak (a lot! ), make his wants and needs known, toilet independently and greet others. Most importantly, Leo is able to follow directions and stand still. He is no longer that frustrated little boy who had the weight of the world on his shoulders. Leo is a bright, academically gifted toddler that will be able to transition into Kindergarten at a local Catholic school in a year.